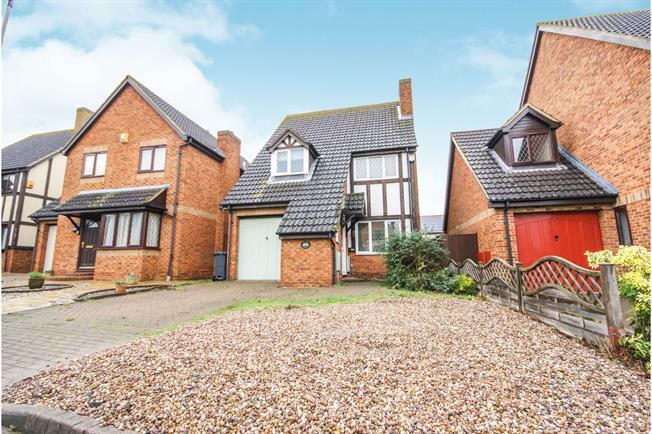 3 Bedroom Detached House For Sale in Bedford for Guide Price £290,000. A well presented three double bedroom detached family home locate din a quiet cul-de-sac in the popular village of Wootton. The property comprises of entrance porch with access to W/C, Large lounge-diner with doors to rear garden and kitchen. Upstairs offers three bedrooms with en-suite to master, the two further bedrooms are serviced by the family bathroom. Outside the home offers driveway for several cars leading to an integral garage and enclosed rear garden. The property is being sold chain free.